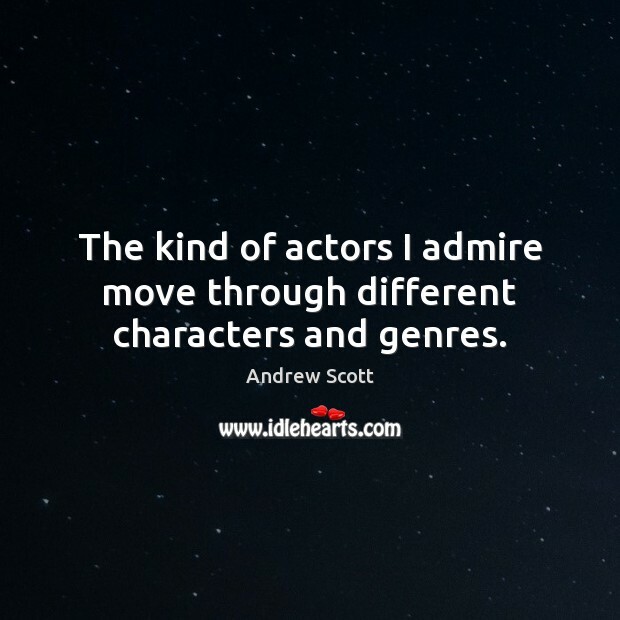 Enjoy the best inspirational, motivational, positive, funny and famous quotes by Andrew Scott. Use words and picture quotations to push forward and inspire you keep going in life! 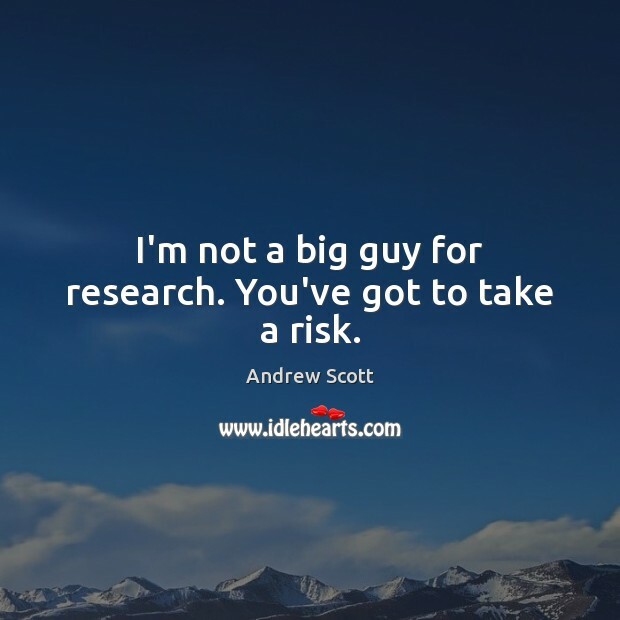 I'm not a big guy for research. You've got to take a risk. 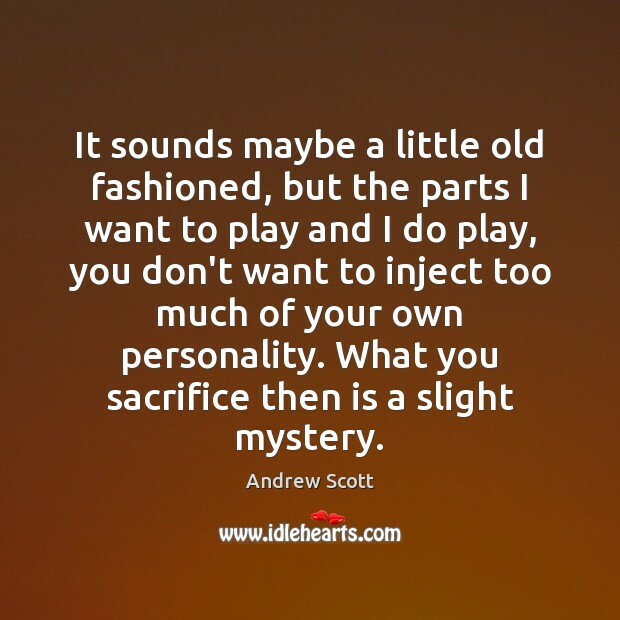 It sounds maybe a little old fashioned, but the parts I want to play and I do play, you don't want to inject too much of your own personality. What you sacrifice then is a slight mystery. 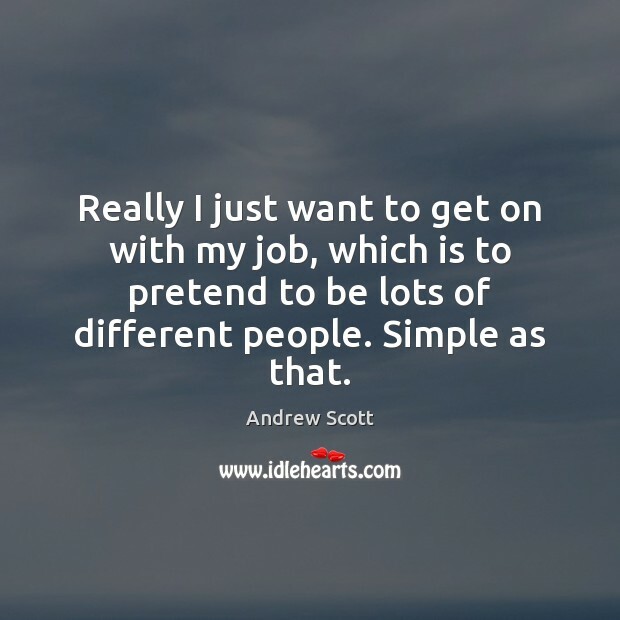 Really I just want to get on with my job, which is to pretend to be lots of different people. Simple as that. 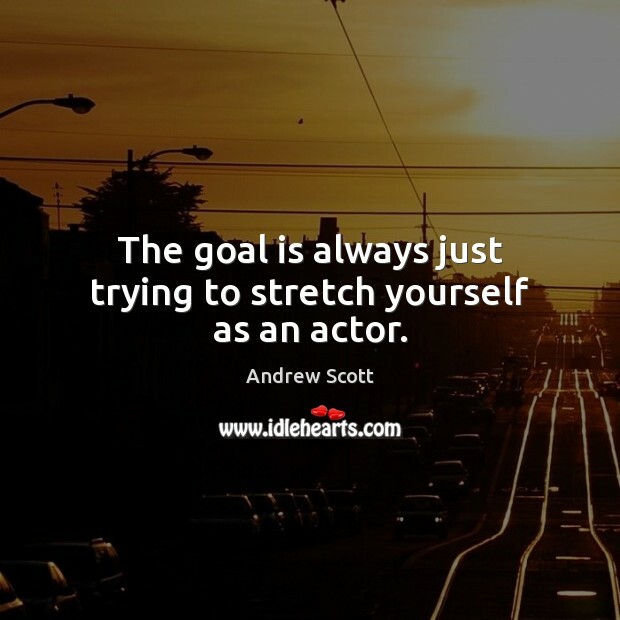 The goal is always just trying to stretch yourself as an actor. 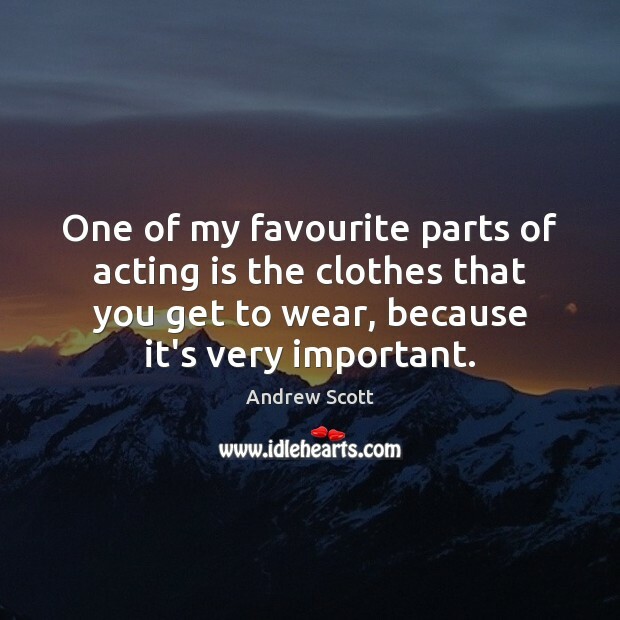 One of my favourite parts of acting is the clothes that you get to wear, because it's very important. I want to keep everything balanced. 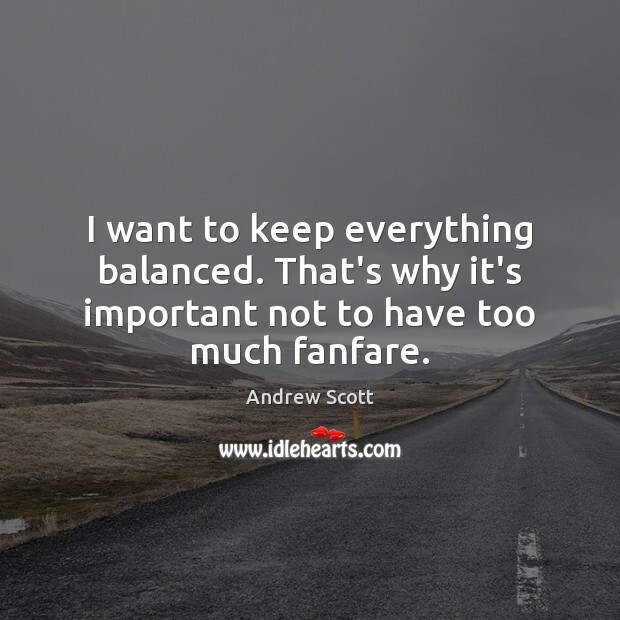 That's why it's important not to have too much fanfare. 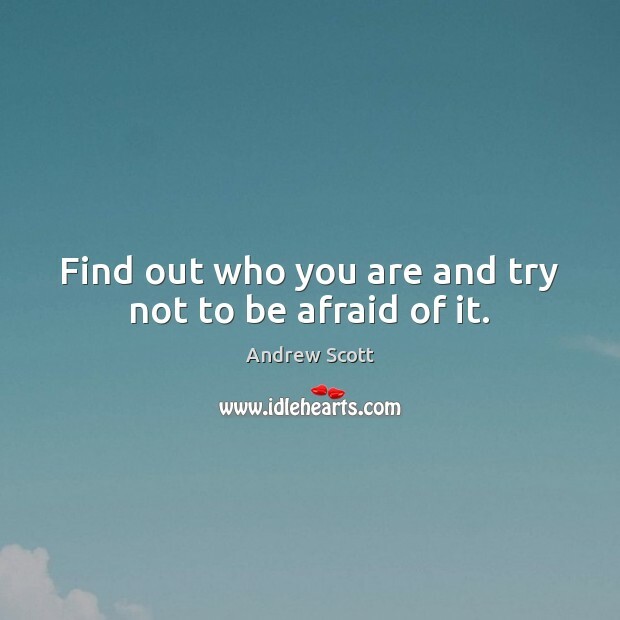 Find out who you are and try not to be afraid of it. 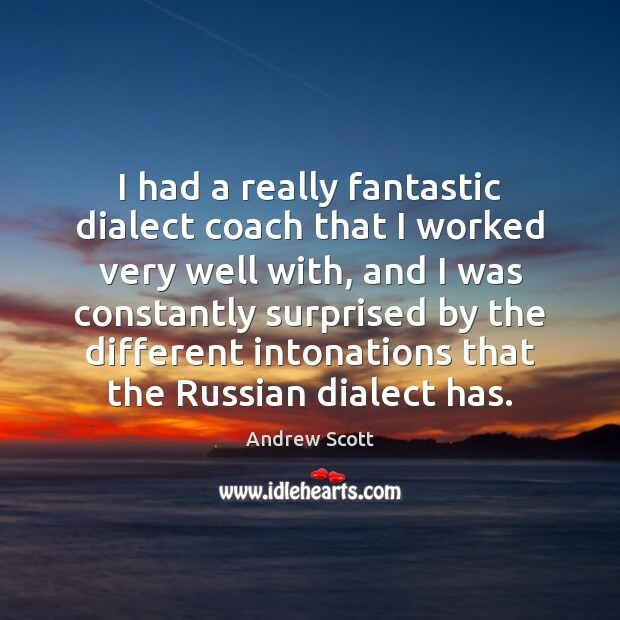 I had a really fantastic dialect coach that I worked very well with, and I was constantly surprised by the different intonations that the Russian dialect has. But there's a difference between privacy and secrecy, and I'm not a secretive person. 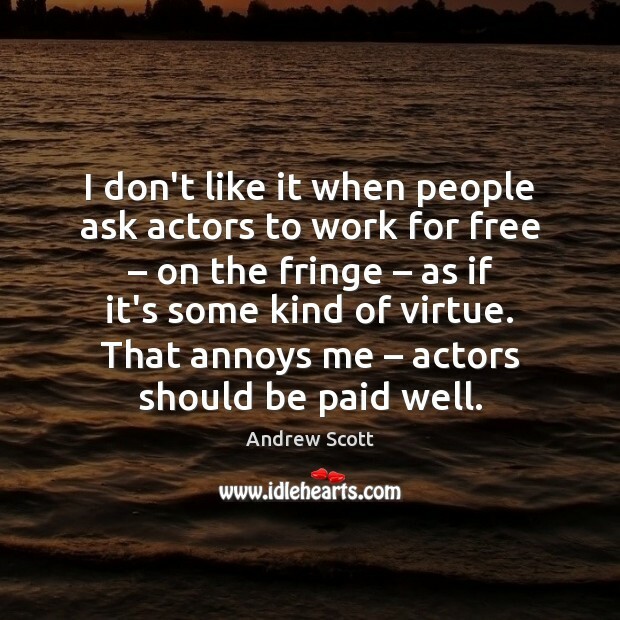 I don't like it when people ask actors to work for free – on the fringe – as if it's some kind of virtue. That annoys me – actors should be paid well. 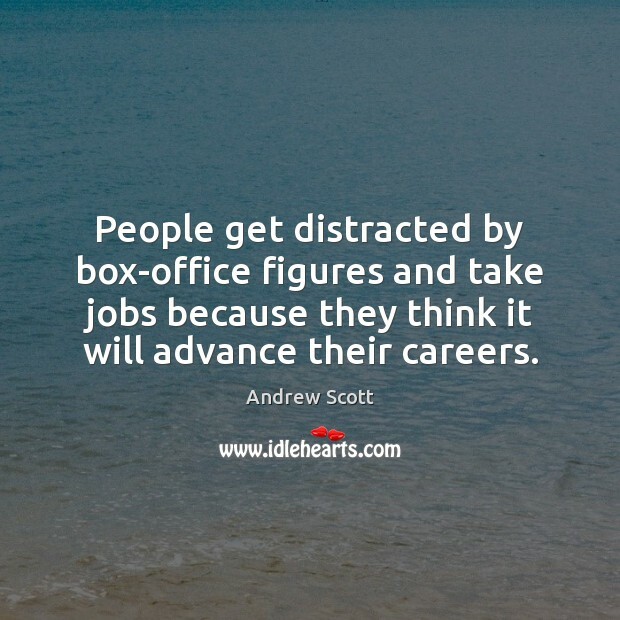 People get distracted by box-office figures and take jobs because they think it will advance their careers. 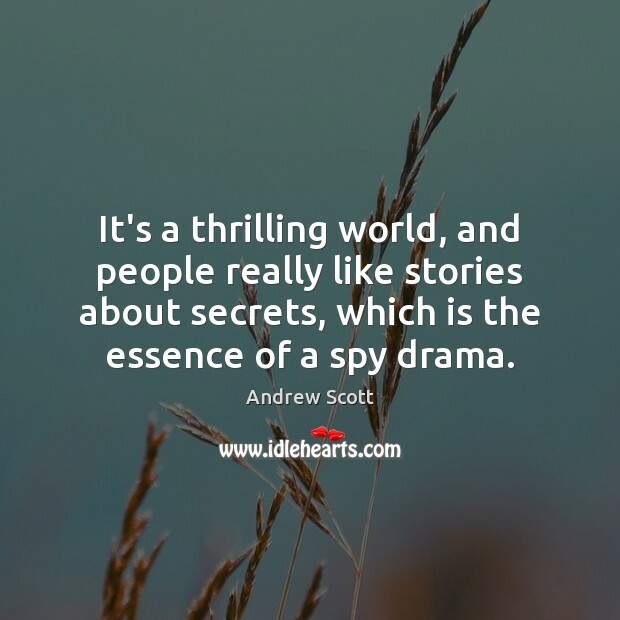 It's a thrilling world, and people really like stories about secrets, which is the essence of a spy drama. 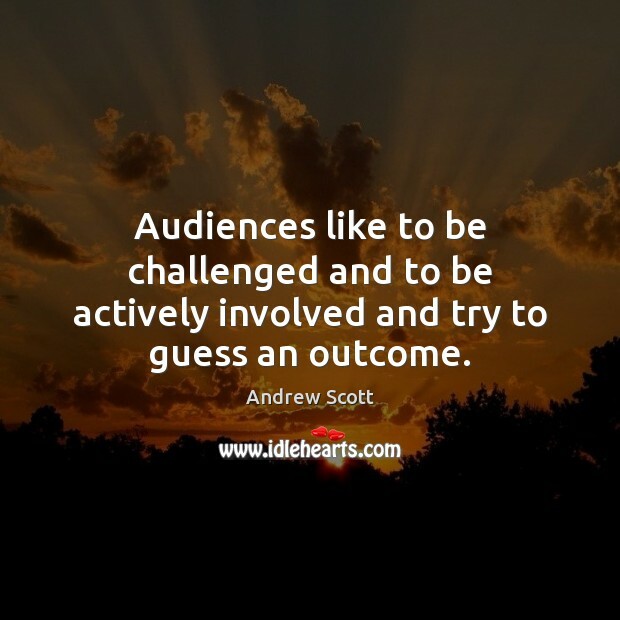 Audiences like to be challenged and to be actively involved and try to guess an outcome. 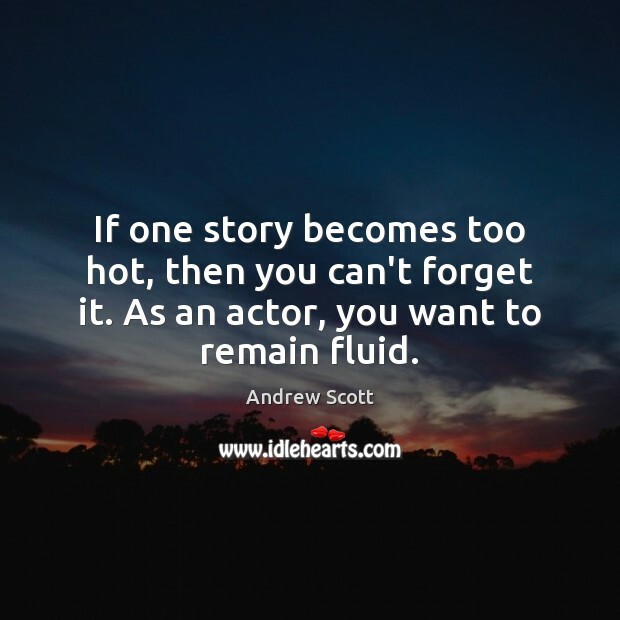 If one story becomes too hot, then you can't forget it. 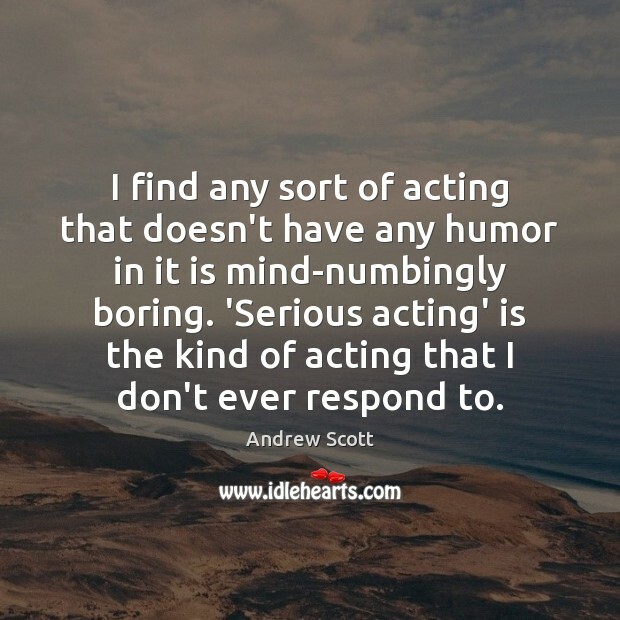 As an actor, you want to remain fluid. 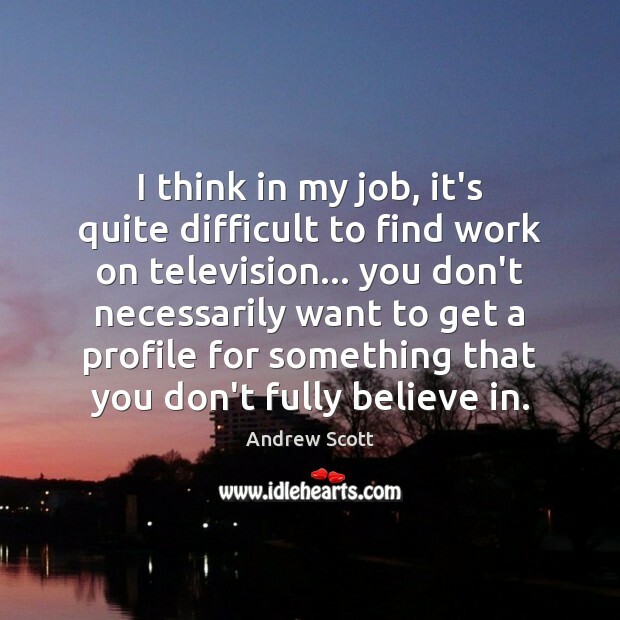 I think in my job, it's quite difficult to find work on television... you don't necessarily want to get a profile for something that you don't fully believe in.